Today only, while supplies last, Save up to 60% on bottles and cookware from Stanley! 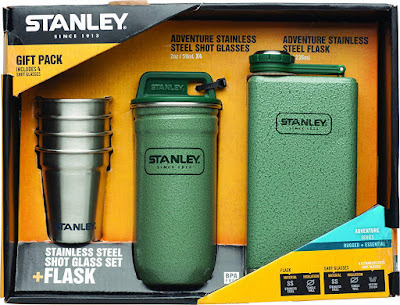 Consider buying this Stanley Stainless Steel Shots + Flask Gift Set for ONLY $17 (Retail $35)! A great gift for anyone on your list, or keep it for yourself. The Stanley Stainless Steel Shots + Flask Gift Set includes four 2-oz. shot glasses and an 8 oz. capacity flask to fill 'em up.Integrated lanyard - never lose your cap.